CJ vs JUSTICES? 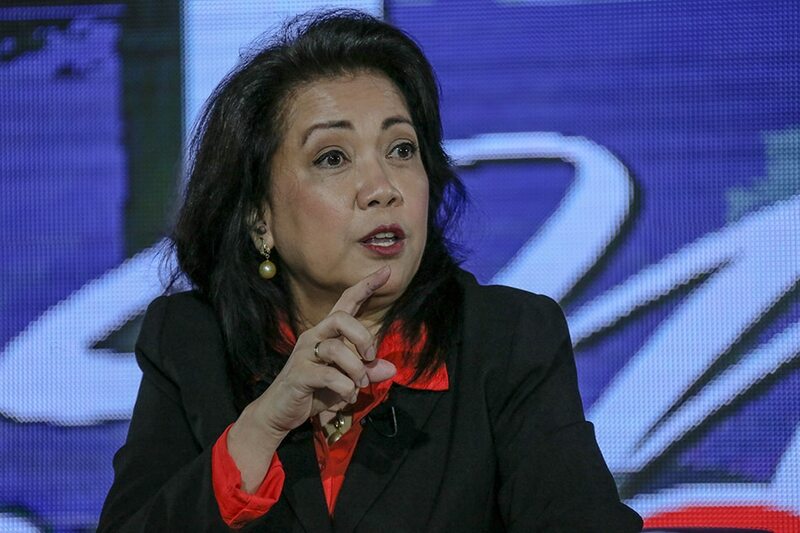 The House justice panel on Wednesday voted to invite all magistrates of the Supreme Court to the impeachment hearing against Chief Justice Maria Lourdes Sereno, who allegedly bypassed her colleagues in the issuance of orders. Complainant Atty. Larry Gadon accused Sereno of "falsifying" and "tampering" with SC decisions, including a draft halt order and an administrative order on opening a Regional Constitutional Administrative Office (RCAO) in Central Visayas in 2012. Sereno "usurped the power of the Supreme Court" by issuing the orders allegedly without the knowledge of the court en banc, Gadon claimed. He then urged congressmen to invite to the impeachment hearing SC Associate Justice Teresita Leonardo De Castro, who had questioned Sereno's order for opening the RCAO. Siquijor Rep. Ramon Rocamora opposed the suggestion, saying Gadon is "upending this committee to produce his evidence." "He should have those evidence already, first hand, when he made those allegations. Therefore, he should have taken the affidavit of the justices supposed to testify here," Rocamora said. Gadon said he personally went to the Supreme Court and confirmed with several officers that Leonardo-De Castro had questioned Sereno's RCAO order through a resolution in January 2013. Dinagat Islands Rep. Kaka Bag-ao, a member of the justice panel, then pointed out that other justices may need to be invited to explain the alleged lack of en banc proceedings prior to the approval of certain decisions. Bag-ao motioned to invite all SC justices and met no objection. Deputy Speaker Gwendolyn Garcia however said extending the invitation to the entire SC "borders upon ridicule and incredulity." She motioned for SC justices to be invited only "as the need arises." But House justice panel chairperson Reynaldo Umali said the committee already agreed to invite the magistrates. "Of course, this will not be a one [time] thing, we'll try to0 manage this depending on the need of the hearing. This is not gonna be a wholesale invitation," he added. "Supreme Court may no longer be able to function if they're all here."